The best way to mount our yard ornaments. The 13-1/2" rods are 1/4" dia. The 18" and 36" rods are 3/8" dia. 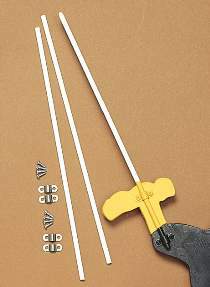 Each kit contains two fiberglass rods, 4 retaining clamps and 8 screws.